Download Ezi Accounting 2.5.29 for a free full function 90 day trial to see for yourself the power and the simplicity of the software. Ezi Accounting costs much less than full function versions of other accounting packages. Why pay more for an accounting system when Ezi Accounting exceeds most requirements (inclusive of inventory control), with prices starting at USD 179 for purchase, USD4.50 per month for rental. Version 2.5 of Ezi Accounting was released in August 2017 with revised pricing. A new licence key is required to use Version 2.5! Ezi Accounting has a track record of being used successfully by many different types of business for book keeping, invoicing and accounts in many countries around the world. Ezi Accounting has been given a 5 star rating by several leading download sites including Best Software 4 Download, Shareware River,Sofotex and Top Shareware. Ezi Accounting has an average rating of 4.2 out of 5 on Softpedia. Ezi Accounting is being used successfully with many different types of small to medium sized businesses in many countries. Some examples are listed below. Get Ezi Accounting Version 2.5.29 here (15MB). A full functional demo trial for 90 days worth of transactions. See why more and more clients are using Ezi Accounting. Get Ezi Accounting 2.0 CD-ROM here (86MB). The .zip file contains a .iso file that be used to create Ezi Accounting on CD-ROM with download, manuals and language files. Warning - The download for Ezi Accounting 2.5.29 is for new installations and for upgrades. Customers currently using Ezi Accounting 2.1.x or older have to purchase a new licence key before 2.5 software can be used or be covered by a support contract. Please see Support Information for details. 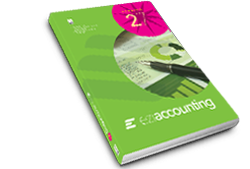 Download the full manual for Ezi Accounting from here. Latest information is in the integrated help file in Ezi Accounting. Download the Installation and Upgrade manual here. Download the Multi-user manual here. Buy Ezi Accounting using PayPal, credit card or by bank transfer. Free Support is provided by E-Mail with a target response of 48 hours. Gold Support option is recommended for enhanced levels of support. Consider the cost to your business if your accounting system is not working. Upgrade to Ezi Accounting 2.5 from older versions - Prices are from $40/£30. Increase the number of licensed users / workstations. Latest support information + installation advice on Ezi Accounting. PC requirements How to upgrade the software. How to remove the software. Visit Ezi Forum for discussions on the use of Ezi Accounting. Follow us on Twitter Facebook Google+ or LinkedIn ! Buy software, upgrades or support from Ezi Sales, @ccounting or MyCommerce. • One Ezi Accounting licence key is required for each business. • A 2 user licence supports two workstations for one business. • The purchase price will depend on the method of purchase and exchange rates. • There are no annual fees payable for permanent licences unless support or upgrades are required. • No changes are allowed to the company name for permanent licence keys. • Rental for 12 or 6 months is available, with free upgrades. • The company name can be changed at the end of each rental period. • Payments are accepted by bank transfer and Western Union. Contact Ezi Solution Systems for details.